After spending over 24 years at the food and beverage giant PepsiCo, Indian American Indra Nooyi announced she would be stepping down as CEO and Chairman on October 3. Her departure was met with waves of kind words and statements of appreciation. Nooyi “leaves behind a nimbler company, more responsive to the evolving tastes of its customers,” wrote CNNMoney’s Danielle Wiener-Bronner. First Daughter Ivanka Trump described Nooyi as a mentor and inspiration to many, herself included. Nooyi’s sitter and prominent philanthropist, businesswoman and Grammy-nominated artist Chandrika Tandon praised the outgoing executive. 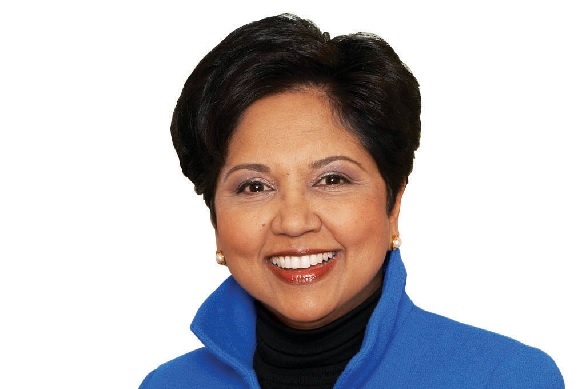 “So proud of my sister Indra Nooyi who was one of the most spectacular CEOs – stepping down from Pepsico. Love Light Laughter,” Tandon tweeted. Tandon, who donated $100 million to New York University’s School of Engineering, along with her husband, Ranjan Tandon, in 2015, is the first Indian American woman to serve as partner at McKinsey and Company. Nooyi’s departure also triggered a debate on the vanishing breed of female CEOs. With her departure, there are just 24 women leading Fortune 500 companies, compared to just over a year ago when there were 32 women leading Fortune 500 companies. With the departures of several high-profile women CEOs over the past year, including the likes of Marissa Mayer at Yahoo, Irene Rosenfeld at Mondelez, Meg Whitman of Hewlett Packard Enterprise (HPE), and now Indra Nooyi at Pepsico, the job of female chief executive is looking even lonelier.